Where to take your boat? 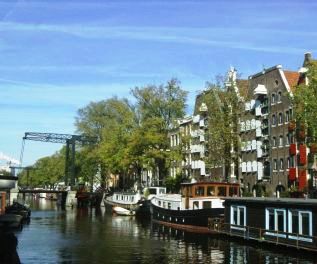 With our rental boats you are allowed to sail the Amstel river and almost all Amsterdam city center canals. 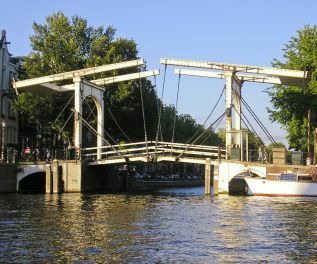 For safety reasons, only the IJ / port area, Kostverlorenvaart and Nieuwe Herengracht are forbidden areas. You are free to make up your own route. If you’re not familiar with the Amsterdam canals we recommend to use one of our route suggestions in order to make the best of your sailing hours! Before departure you will receive a personal route advice, including the best routes on the Amstel river and the most scenic canals. Where to go, what to look out for, where to stop? We will tell you! We have put together three beautiful routes for you: one on the Amstel river and some of the most famous canals, one of the Amstel river and the eastern center and one that goes out of town on the Amstel river. Feel free to check out these three routes below. How long should I rent the boat for? There’s no need to bring your own maps or to prepare any routes in advance. We provide a very clear custom made map. This map shows suggested routes, as well as places of interest and other useful information.